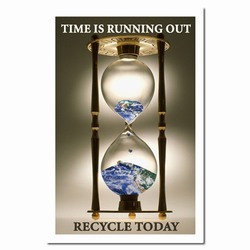 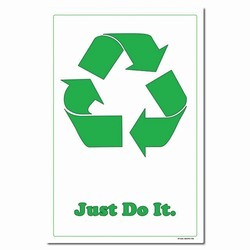 Theme: A cloudy poster with a crossed out man throwing litter into a trashcan with an earth print on it. 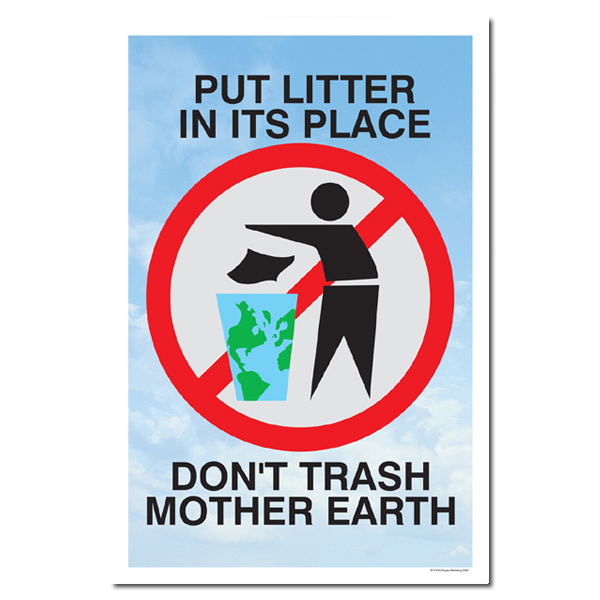 Message: "Put litter in it's place. 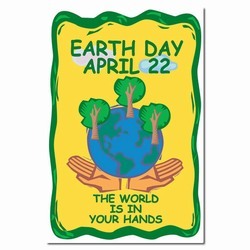 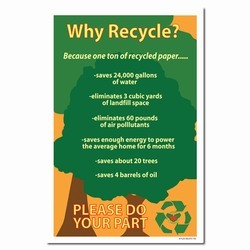 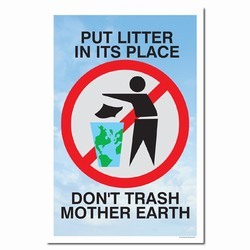 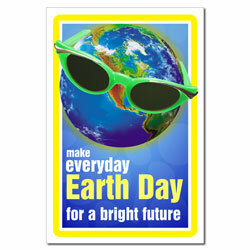 Don't trash mother earth."